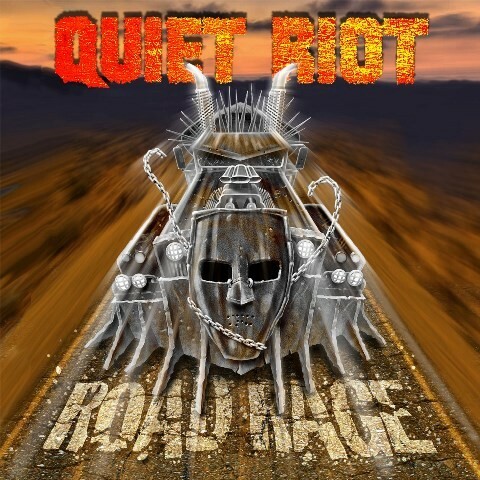 It must be said, I never expected to see Frankie Banali produce another full Quiet Riot record for the fans, especially considering his stance on the subject over the years, but I'm sure there will be many very happy people out in Rocksville right now. He's done it mainly to please himself and the fans, but it has also given him the chance to once again work alongside long-time friend and bassist Chuck Wright as well as affording guitarist Alex Grossi the chance to be on a full QR record after some ten years of service. Now, most people might have expected to see Jizzy Pearl fronting the microphone, but he wanted to move on which meant Banali had to look for the right candidate that would fit the band's legacy and the individual players. Step forward ex-Adler's Appetite vocalist Seann Nicols, someone who has that raspy slightly gritty melodic tone that the late Kevin DuBrow was famous for. A lot of the music had already been worked on by Banali and guitarist/engineer Neil Citron over the ensuing years, but Grossi came up with the music for the mature ballad 'I Don't Need You Anymore' that features a really good vocal from Nicols. Wright was involved in the Led Zeppelin-flavoured riff for the old-school 'Never Mind You', with Banali conjuring up a John Bonham-style beat. Each song was forwarded to Nicols to write the lyrics and I must say he's done a super job. There's plenty of old-school QR tunes to get that head-banging, none more so than on the title track as Nicols intones "Pedal to the metal, got a need for speed, everybody get out of my way, you've got it coming if you mess with me!" It also fairly rattles along at full pace. Another offering that similar in terms of an old-school eighties QR style is 'Sledge Hammer' with its incessant grooving riff. Talking of grooves, there's plenty about; 'Snake Charmer' has an Eastern tinge alongside its cool swagger and 'Hey Lil' Sister' has a plain, down and dirty hip swinging groove. I also like 'Dirty Money' as it's a Banali/Grossi driven Rocker with a catchy melodic chorus that Nicols sings so well. 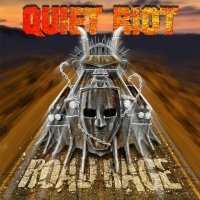 This is not a ground breaking, but QR have plenty of that in their history already, what it is though is a damn fine addition to the Quiet Riot legacy.